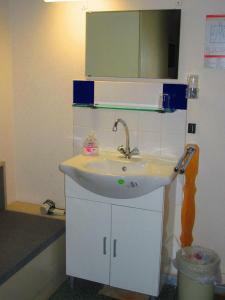 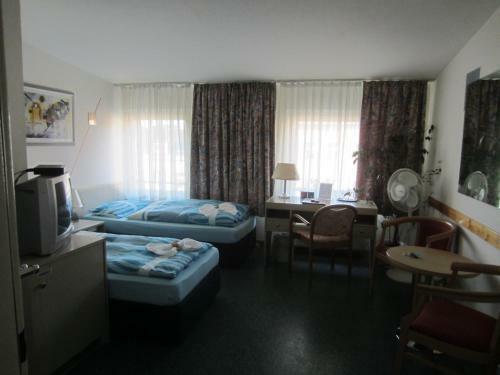 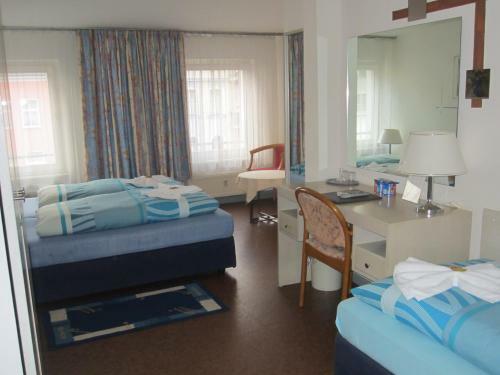 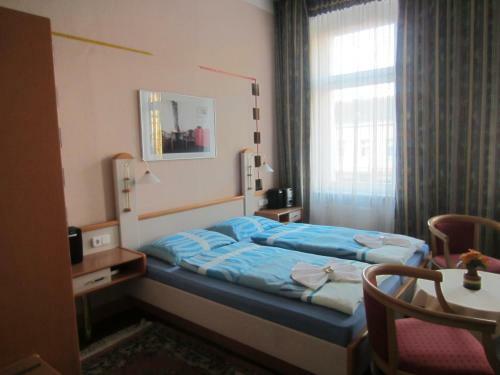 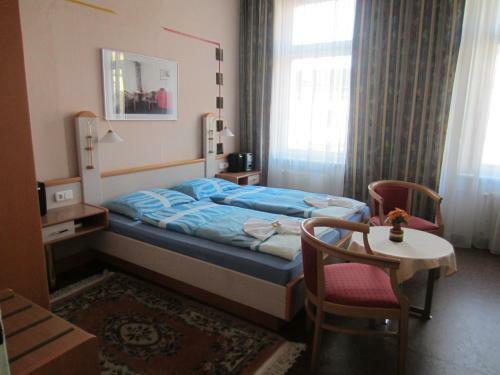 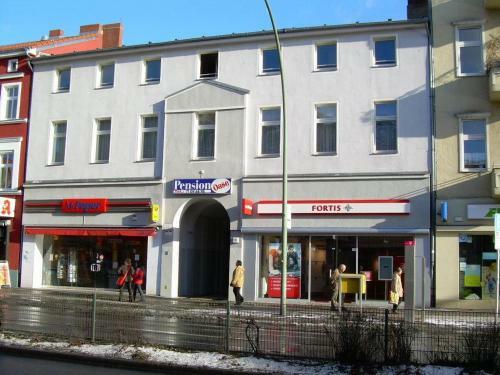 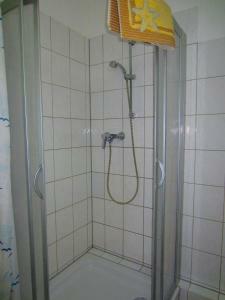 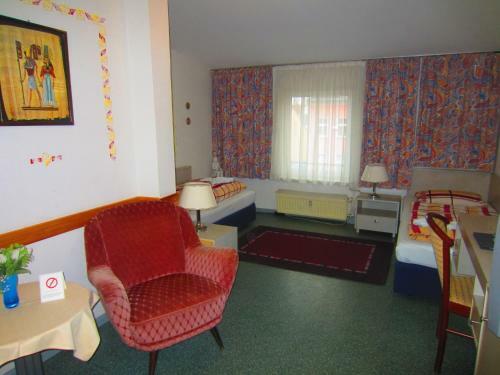 This guest house is 50 metres from Kaiserin-Augusta-Straße Underground Station in Berlin’s Tempelhof district. 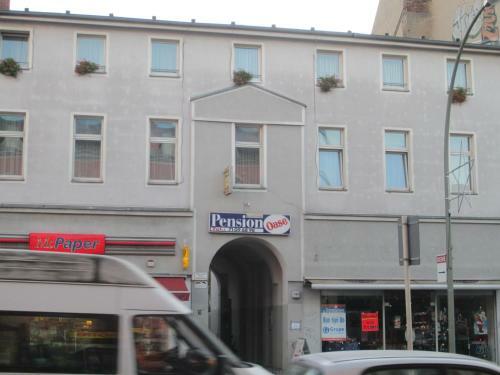 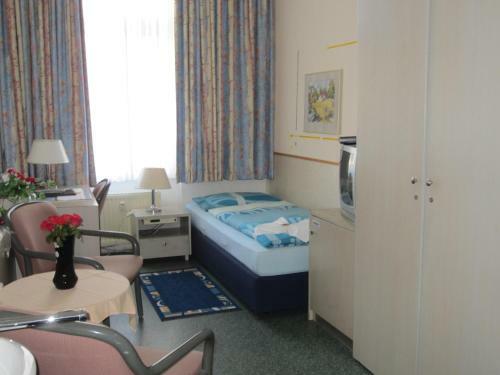 Pension Oase is just 15 minutes from the Friedrichstraße shopping street in central Berlin. 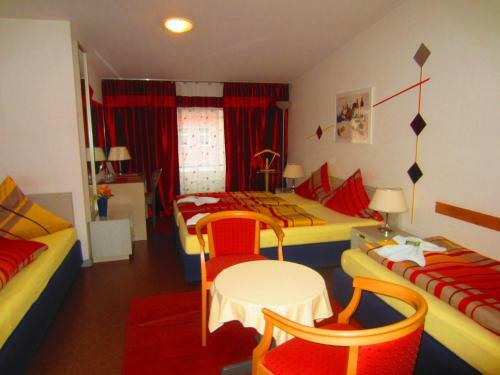 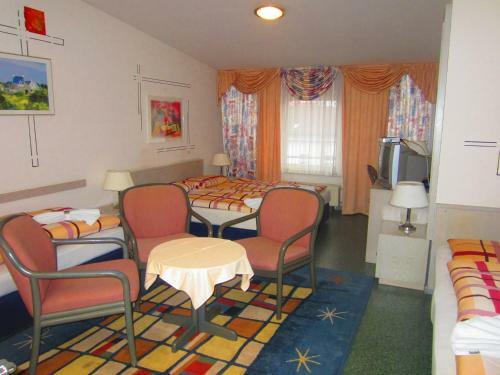 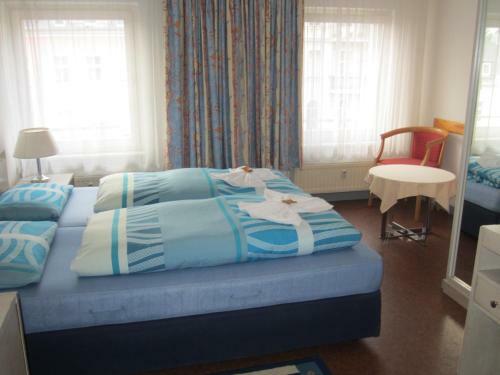 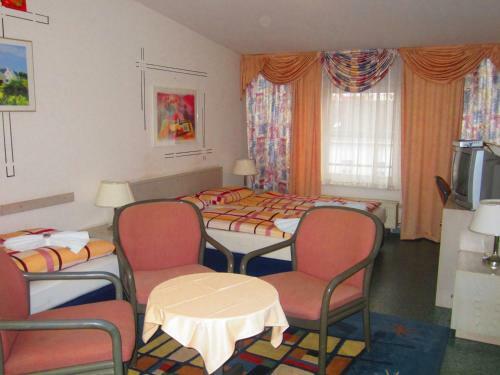 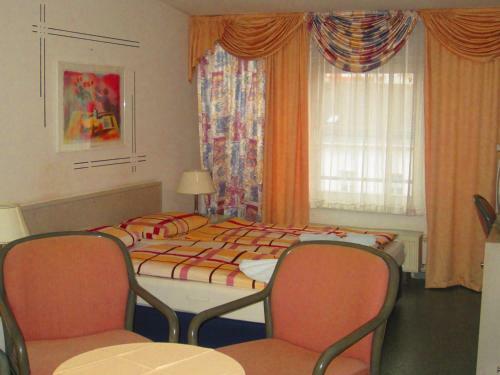 The spacious rooms at Pension Oase Berlin feature bright décor and are decorated with plants. 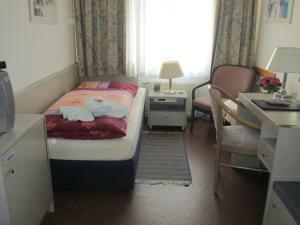 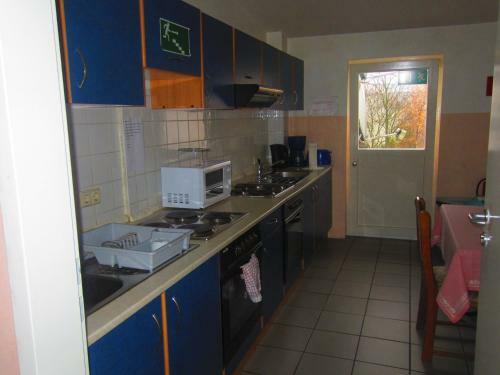 All rooms include satellite TV, a work desk and seating area. 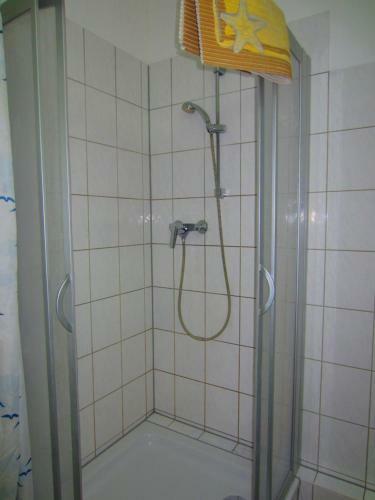 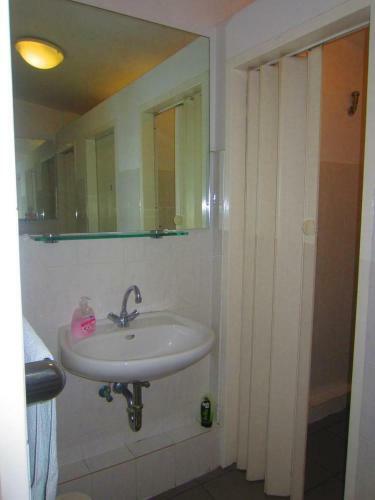 Bathrooms and showers are located in the hallway. 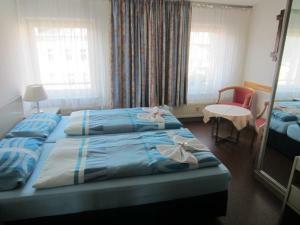 Breakfast is served each morning at Pension Oase. 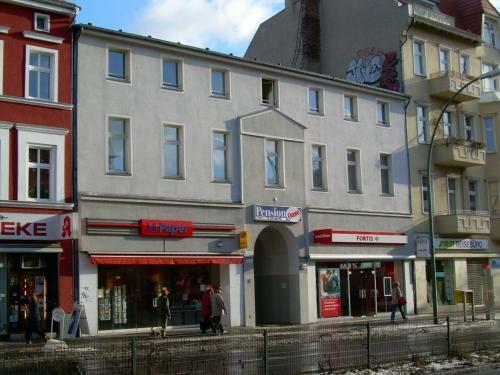 Many shops and restaurants can be found within a 2-minute walk. 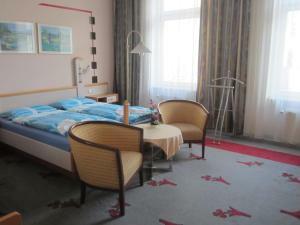 On-site parking is available at Pension Oase, and Berlin’s A100 motorway is only 3 minutes away. Guests can also hire bicycles at reception. 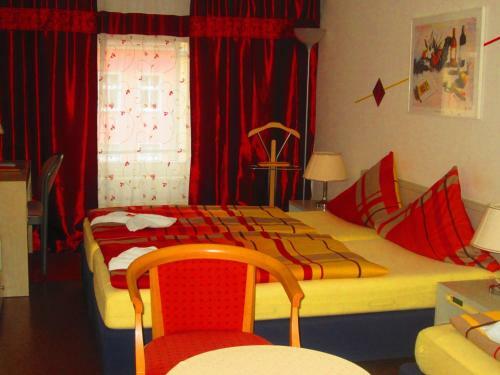 Simply decorated room with satellite TV, a minibar, and shared bathroom facilities. 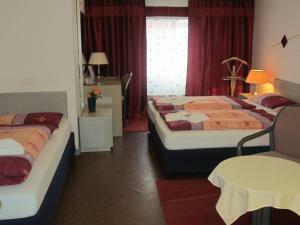 The room features satellite TV, a seating area, and has use of shared bathroom facilities.